Morality could not be spawned by tweaking a few genes or shutting off a few neurons. Though humanity conquered the very stars, it remained unable to conquer the darkness within. In the dark, seedy underbelly of Pandora-a lawless colony on the best of days-a young woman who's lost everything but her soul fights to reclaim her life from a violent, sadistic criminal despot. But when she's given a chance for freedom, she realizes escape is not enough. First, a just punishment must be exacted for crimes committed. 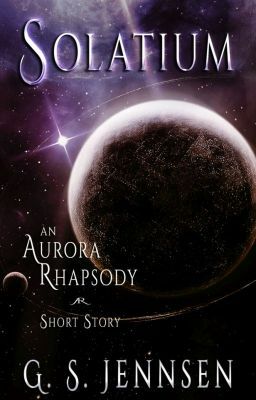 Set twelve years before STARSHINE: Aurora Rising Book One (Aurora Rhapsody #1), Solatium is Mia Requelme's origin story-and the story of how she and Caleb Marano met. It's a story about criminals and those who punish them, but mostly it's a story about the struggle to keep hold of one's soul in the face of so much darkness.